The history that is lost to us as hinted in an old postcard. 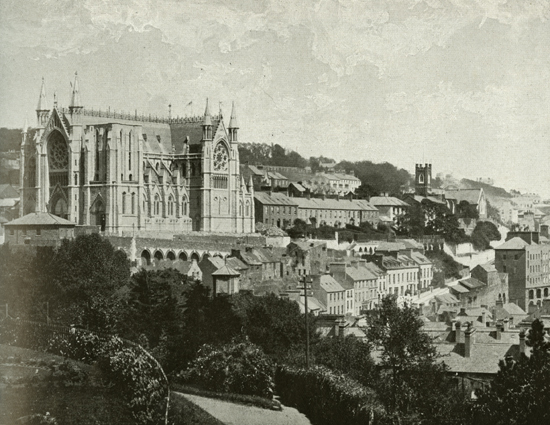 The cathedral at Queenstown (now Cobh) before the completion of the spire. The cathedral of St Colman was the most expensive Catholic church built in Ireland in the 19th century. 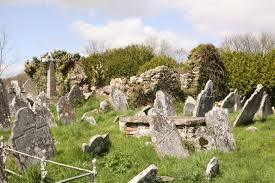 It was the last landmark seen by so many emigrants who departed from Cork Harbour. The photo may have been taken around 1904. Recently I was shown an old postcard that was postmarked Queenstown, 8.30pm, June 7, 1906. The green half-penny stamp depicted King Edward VII. Queenstown, as you know from previous posts, is now called Cobh (pronounced Cove – it’s not actually an Irish word, just an Irish spelling of the English word). The postcard was sent by a woman to another (friend? sister? cousin?) elsewhere in East Cork. 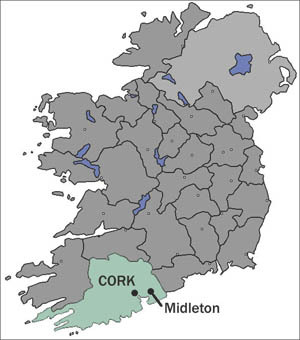 The recipient lived somewhere between Midleton and Youghal, so it is a local communication. The card depicts a photomontage of a young woman having a religious vision and there is a stanza of a poem (The Holy City) printed beneath the image. Write me a long letter, now, & don’t forget what I told you about. Did you see anyone passing since. No more to say at present. Excuse the writing as I am huring to go to the mission. I am nearly late alreddy. Love to all & yourself. The note is signed Kathleen. The use of a post-card and half-penny stamp shows that this was the cheapest way to communicate between two people living in nearby communities in East Cork at the beginning of the twentieth century. Postcards were cheaper than sealed letters, cheaper than telegrams and certainly better than the few telephones available. 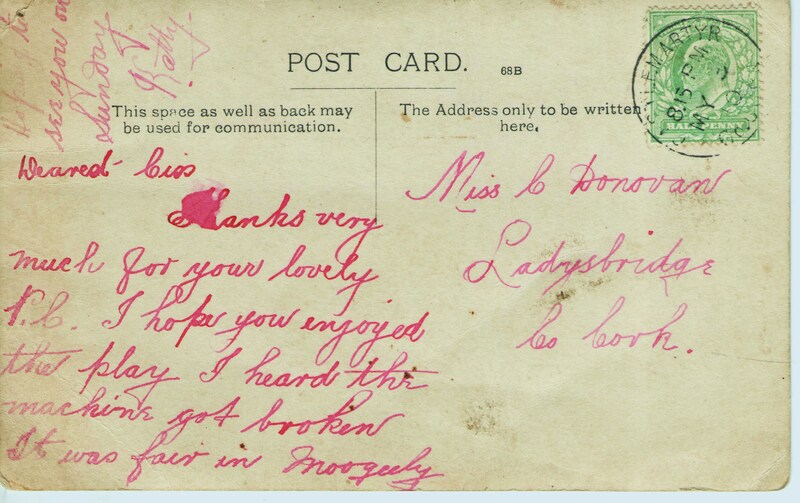 Of course, postcards can be read by other people, so discretion was required in the communications between the two women – the code used in the postcard is clear, but not to anyone outside their original conversation. What are we to make of the mysterious line don’t forget what I told you about? And Did you see anyone passing since suggests that the two women had shared some item of news or gossip that may affect someone else. Indeed the injunction at the start – write me a long letter now – suggests that this is a developing story and that both parties are keeping each other up to date with developments, but the details were too sensitive to put on a postcard. The fact that the recipient lived in a small village that was not on the main road to anywhere important suggests that the source of their fascination had very local implications. 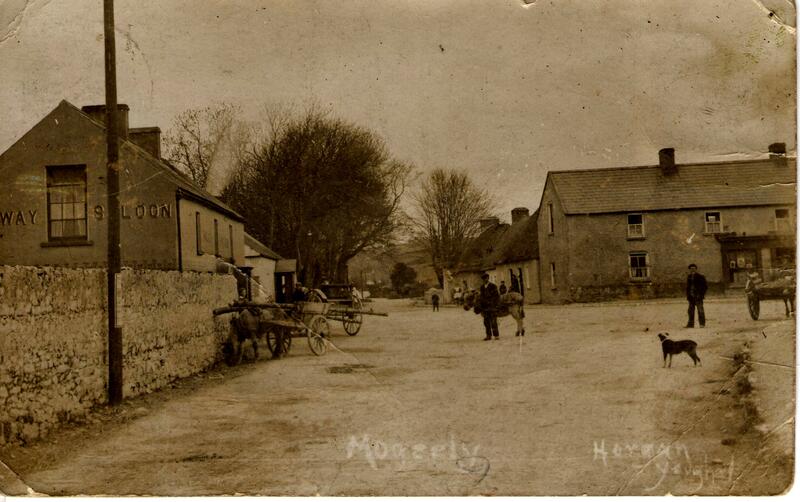 It’s a priceless piece of a conversation that seems to revolve around local gossip – but we’ll never know what was setting tongues wagging in East Cork in 1906. 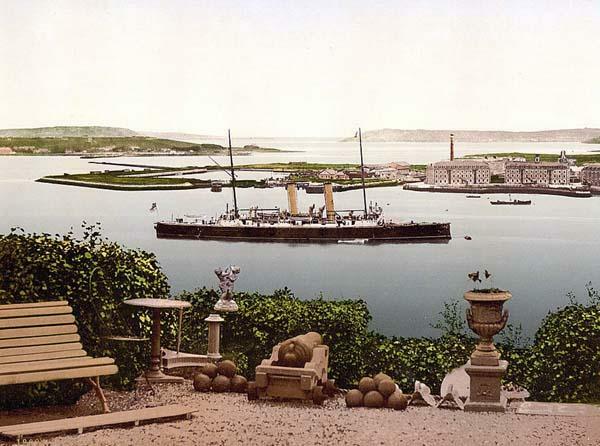 An early 20th century postcard of Cork Harbour as viewed from Queenstown. The post office in Queenstown was a very busy place as emigrants often posted last messages home from there. The contrast between a religious image and poem on one side of the postcard and the gossipy note on the other is highlighted by the mention that the writer is late for the ‘mission.’ This was an annual event in most parishes in Ireland at the time. 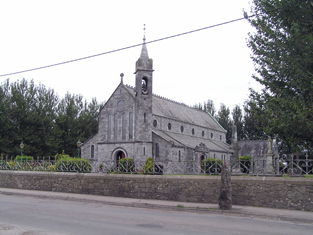 The parish priest (in this case the Bishop of Cloyne or his parish administrator) brought priests from a religious order to the parish for a week to conduct a ‘Mission.’ These priests, usually from the Redemptorist congregation, but equally from the Dominicans, Franciscans, Jesuits or Vincentians were charged with effectively re-evangelizing the local people, getting them to go to confession, to give up bad habits (like fornication, drink, gambling or gossip) and generally conform again to the moral strictures of the Church. Missions involved house visitations, confraternity meetings, daily (or twice daily) Mass with long thunderous sermons, as well as devotional practices like Exposition of the Blessed Sacrament and Benediction. It was quite an intense time in the religious practice of the parish. It could often yield results that eluded the parochial clergy – ‘sinners’ could feel more comfortable confessing to a missioner (not a missionary – they went to foreign countries). The mission clergy were strangers and they were perhaps seen as more approachable, and possibly less judgmental, than the parish clergy. So why was the writer of the postcard so worried about being late for the ‘mission’? Simple, her absence would have been noted – you have to remember that people habitually sat in or near the same place in the church, in this case, probably St Colman’s Cathedral. One had to keep up appearances and ensure that nobody was given any reason to gossip about oneself. Mind you gossiping about other people….that was a different matter. HMS Mars in Queenstown around 1902. 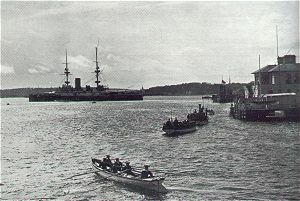 Queenstown was a major base for the Royal Navy’s Home Fleet and was commanded by a Rear Admiral.The building on the right is the former clubhouse of the Royal Cork Yacht Club, which – aims to be the oldest yacht club in the world. Clearly the writer was a resident of Queenstown and not a prospective emigrant, although it is possible that emigrants attended mission events before setting off for a new life the next day. We have no idea if the original communication between the two women was a face-to-face conversation (either woman could reach the other by train) or by means of a letter. I suspect it was a conversation, since the postcard didn’t have an opening greeting, it may have been written a day or two after the encounter. What the postcard shows us is that we will never know everything there is to know about history. The news shared by the two women might pertain to a family matter or to local religious concerns or matters of social standing in the community, but is unlikely to refer to politics or sport. It’s infuriatingly mysterious….and great fun to get such an insight into the real concerns of two people in the same part of Ireland at the beginning of the twentieth century. In this case I think the woman who wrote the message should have been hired by the British Admiralty to write infuriatingly knowing and highly suggestive but otherwise meaningless messages to various non-existent agents during World War I – it would have kept German Naval Intelligence very busy indeed looking for the proverbial needle in the haystack, except the needle would have been a figment of someone’s imagination!